We live at a time when the alleged influencing of the result of a presidential election by Russia triggers an avalanche of righteous indignation; but the possible skewing of the same election by Facebook's news feed algorithms triggers very little protest. So no apologies for returning, yet again, to the insidious impact of social media algorithms. 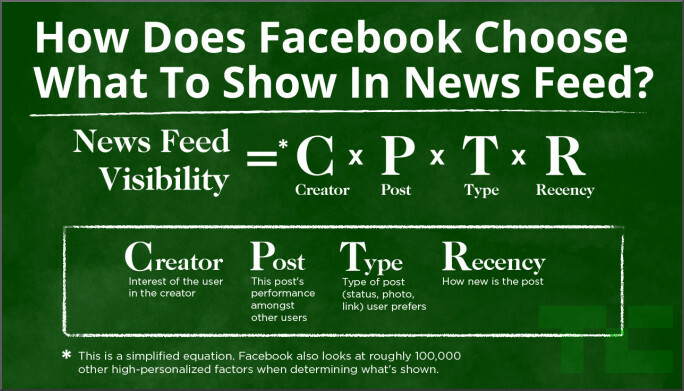 The graphic below is taken from a Techcrunch article titled 'How Facebook news feed works'. 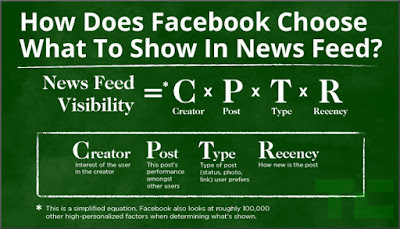 Presumably most readers already understand social media algorithms, but for any that don't here is a quick and simple overview. Lots of people read, 'like' and share posts about Mahler, so the algorithms give a high ranking to stories about Mahler, and as a result they are highly visible in news feeds. Very few people read, 'like' and share posts about Malcolm Arnold, so the algorithms give a low ranking to stories about Malcolm Arnold, and as a result they are virtually invisible in news feeds. Research shows that 67% of American adults use social media as a news source, and that trend is mirrored in other developed countries. So if you are promoting a concert, recording a CD or writing an article about Malcolm Arnold it will achieve minimal visibility on news feeds, and, as a result, will sink without trace or audience. Which means if you are trying to earn a living from classical music and want an audience, Mahler and a small select group of trending composers are no brainers. None of which is a revelation; so why am I writing yet another post on the subject? On An Overgrown Path has a substantial, stable and representative classical audience. The graphic above shows 67% of its site traffic at that particular point in time coming from Facebook*. That hard fact should strike fear into the heart of everyone in classical music. If a social media averse site relies that heavily on Facebook for its audience, what must the percentage be for classical music's many social media whores? Let's face the facts: Facebook controls On An Overgrown Path's audience; so if the blog is at all representative of classical music this means Facebook controls the classical music audience. Which leads to the second popular myth within classical music. The many in the industry who are in denial about the dangers of social media will tell us there are benign alternatives to Facebook and its toxic algorithms. Yes, there are other 'cool' alternatives such as Twitter and Instagram. But the problem is they all use algorithms. A Slate article earlier this year described how "As soon as you open it, Twitter quickly collects and assesses every recent tweet from every person you follow and assigns each one a relevance score. This score is based on a wide array of factors, ranging from the number of favorites and retweets it received to how often you’ve engaged with its author lately. At the same time, the algorithm is assessing a variety of other variables—including how long you’ve been away from the site, how many people you follow, and your individual Twitter habits—to determine exactly how those scores will affect what you see in your feed". While a 2016 Guardian article was headlined "New algorithm-driven Instagram feed rolled out to the dismay of users: Say farewell to chronological ordering of posts – users are now seeing their feed as organised by Instagram’s own formula, and they’re not happy". Quite rightly the classical music industry has railed against discrimination. But discrimination by social media algorithms has not only gone uncensored, it has actually been courted in the manic search for bigger and younger audiences. Facebook and other algorithm-driven platforms now control classical music, as they control the rest of our lives. This affects everyone who earns their living from classical music - musicians, composers, orchestras, record labels and others. Discriminatory algorithms inevitably mean the big get bigger and the small get smaller. So eventually the big dominate and the small disappear. Those are the hard facts, and there is no obvious simple solution. But that does not mean we should simply accept the malign impact of social media algorithms. * Can any reader shed light on the insignificant number of page views coming from the Telegraph website? Any copyrighted material is included as "fair use" for critical analysis only, and will be removed at the request of copyright owner(s). Inevitably also on Facebook and Twitter. Ironically this and related posts are currently reaching a very large readership. And it is almost all coming from Facebook.